"Value-based care creates a framework that allows primary care physicians to spend more time with patients"
MINNEAPOLIS--(BUSINESS WIRE)--Hennepin County Medical Center (HCMC) and Humana Inc. (NYSE: HUM) announced that they have teamed up on a value-based care agreement designed to offer Humana’s Medicare Advantage members in the Twin Cities a more coordinated, more personalized health care experience. Value-based care is a growing national trend representing a shift away from the historic health care model that focused on treating individual health events to a health care system focused on a person’s overall health and long-term well-being. In November 2015, Humana released value-based care data indicating that patients cared for through value-based models generally experienced healthier outcomes and lower costs, including fewer inpatient admissions, higher rates of preventive screenings and higher Healthcare Effectiveness Data and Information Set (HEDIS) Centers for Medicare and Medicaid Services (CMS) Star scores. The Humana contract is one of several value-based arrangements in which HCMC is participating. HCMC has seen early success with its value-based efforts, including a 4 percent reduction in total cost of care noted in the 2014 Minnesota Community Measurement’s Total Cost of Care Report. 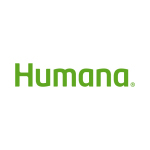 Through the new agreement, Humana’s population health capabilities, including predictive analytics, chronic disease management and wellness programs, will complement HCMC integrated delivery system and patient-centered medical home initiatives. Matthew Moore, President of Humana’s Central North Region, says the goal is to return primary care physicians to the center of the health care system. Today, Humana has 1.7 million individual Medicare Advantage members and 200,000 commercial members today who are cared for by 47,800 primary care providers, in more than 900 value-based relationships across 43 states and Puerto Rico. For more information, visit humana.com/accountable-care. Hennepin County Medical Center is a nationally recognized Level I Adult Trauma Center and Level I Pediatric Trauma Center with the largest emergency department in Minnesota. The comprehensive academic medical center and public teaching hospital and clinic system includes a 484-bed acute care hospital, primary care and specialty clinics located in Minneapolis in the Whittier, East Lake St., and Elliot Park neighborhoods and in the suburban communities of Brooklyn Center, Brooklyn Park, Golden Valley, Richfield, and St. Anthony Village. HCMC also offers home care and hospice services. HCMC is operated by Hennepin Healthcare System, Inc., a subsidiary corporation of Hennepin County. More information at hcmc.org.